Earlene Cassie Beasley Peele, age 96, of Sanford, NC, passed away on Thursday, September 13, 2018, at Westfield Rehabilitation and Nursing Center. She was born in Surry County on September 3, 1922 to the late Thomas Franklin Beasley and Lou Emma Goins Beasley. In addition to her parents, she was preceded in death by her husband, James Carlyle Peele. Earlene worked for many years in area department stores. 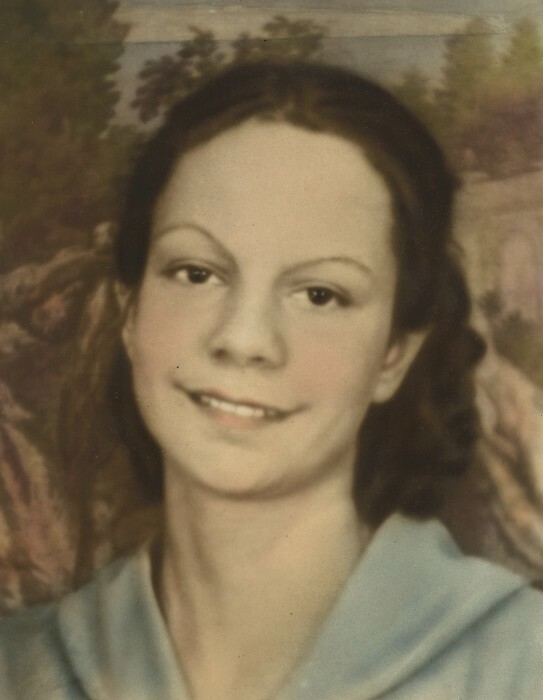 She is survived by her son, James Carlyle Peele, Jr. and wife, Rose of Sylva; daughter, Elizabeth Carlene Dull and husband, Gary of Sanford; three grandchildren, Heather Clawson and husband, Scott, Bryan Dull and Gary Dull, Jr.; and three great-grandchildren, Amzie, Preston and James Clawson. The family will receive friends on Monday, September 17, 2018, from 6:00 PM to 8:00 PM at Bridges-Cameron Funeral Home. The funeral service will be held on Tuesday, September 18, 2018 at 11:00 AM at Jonesboro United Methodist Church with Rev. Andi Woodhouse and Ray Parrish officiating. Burial will follow in Lee Memory Gardens. The family would like to extend their gratitude to Doris Boykin for providing 14 years of tender loving care to Earlene and a special thank you to the staff of Westfield Rehabilitation and Nursing Center and many other friends who brightened Earlene’s last years.